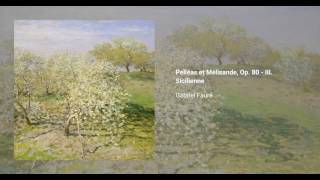 Pelléas et Mélisande is the title of both a set of incidental music and a suite by Gabriel Fauré. 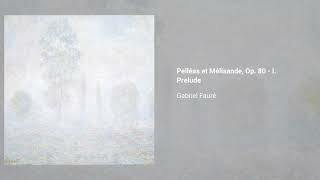 The incidental music was composed for Maurice Maeterlinck's play of the same name, with Fauré being the first composer to take interest in Maeterlinck's work (later Debussy, Schoenberg and Sibelius would follow). Fauré's music was written for the London production of Maeterlinck's play in 1898. To meet the tight deadline of the production, he reused some earlier music from incomplete works and enlisted the help of his pupil Charles Koechlin, who helped orchestrated the music. 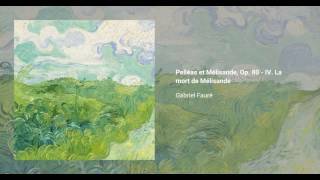 Fauré later constructed a three-movement suite from the original theatre music, orchestrating the concert version himself. He added the Sicilienne (no. 3). He dedicated the suite to Mme. la Princesse Edmond de Polignac.